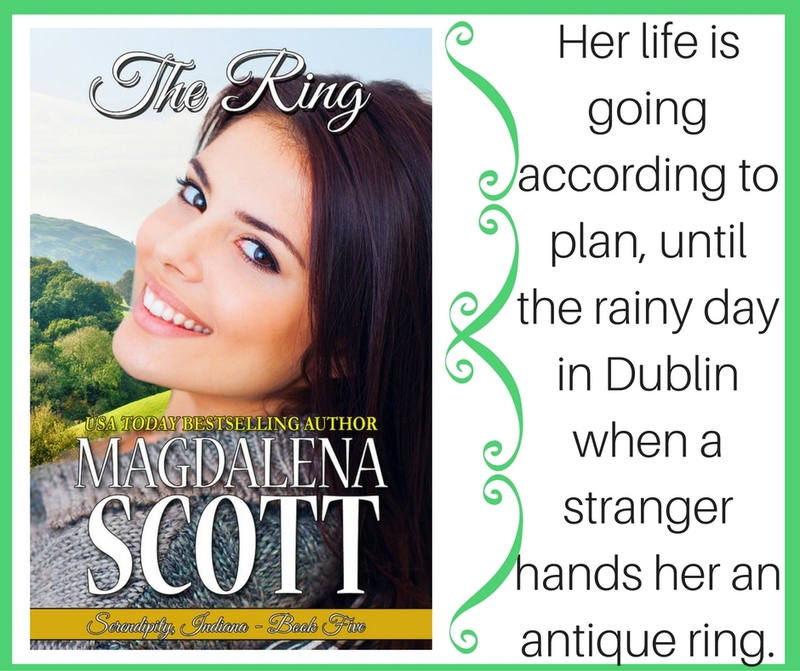 Until March 31, 2017, THE RING (Serendipity, Indiana - Book Five) is only 99 cents. Take a break from reality, and immerse yourself in coincidences-that-might-be-something-else-entirely. Serendipity is all about happy surprises. There's plenty of girlfriend time with Carla, Melissa, Alice, Francie, and Emily. Plus a dose of small town politics, and the good old boy system. Carla's been dating single dad, Jared Barnett, who showed up in Serendipity back in book one (SMALL TOWN CHRISTMAS), at which time he was very unpopular with everyone in town. He redeemed himself somewhat in book three (CHRISTMAS WEDDING). But, you know, it's complicated. Happily-ever-after is out of the question. But in Serendipity, the Magic of Love does amazing things. Carla Standish makes wishes come true, for everyone but herself. She is the go-to person for whatever her friends and family need, and is world-renowned for creating one-of-a-kind, swoon worthy dresses. She’s even surprising herself and the folks in town by dating a decent guy these days. If one missing piece would fall into the jigsaw puzzle of her life, everything would be perfect. But she ruined that possibility long ago, didn’t she? Grab your copy before the sale ends! 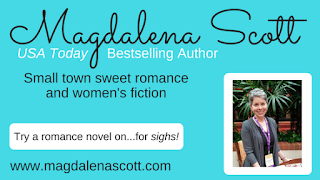 If you don’t already subscribe to our Sweet Romance Reads newsletter, please take a moment to do that. You’ll find the signup on the right side of this page. And we'd love for you to visit us at the Sweet Romance Reads Café on Facebook. 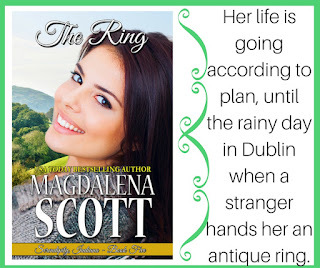 So good, Magdalena! Can't wait to read this book!